We at Bloor Smile Dental take pride in offering superior service with excellent results. We strive hard to be the reason for your beautiful smile. Crowded/ misaligned or spaced teeth lead to several problems including gum diseases, tooth decay, an improper bite, speech or chewing difficulties, jaw problems, and increased wear on the tooth enamel. Tooth decay and gum disease are caused by bacteria. Left untreated, they can cause mouth sores, tender or bleeding gums, bad breath, and possible tooth loss. Studies by the American Dental Association have shown that oral infections can also lead to other more serious ailments such as heart disease, stroke, pneumonia and diabetes. Invisalign aligners will correct the bite and alignment of teeth, thus eliminating all of the above potential problems in addition to leaving you with a dazzling and confident smile!! Call to book your consultation to find out if Invisalign is a suitable option for you. 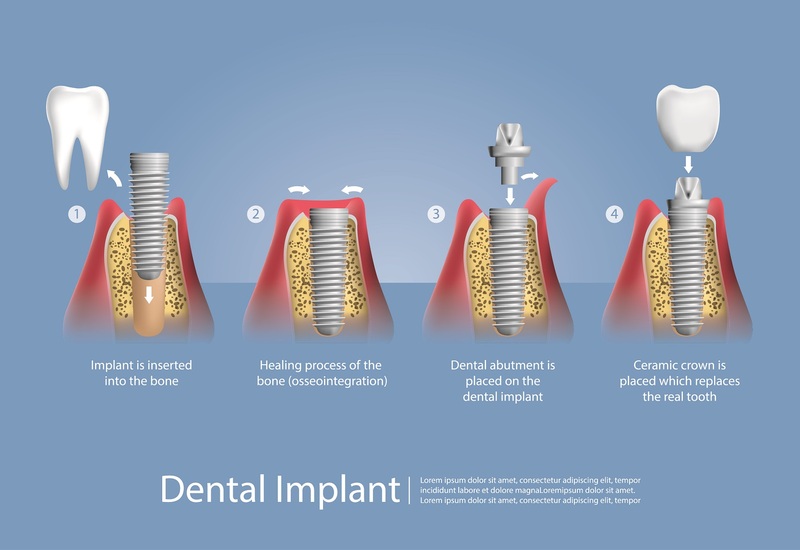 missing teeth, implants can support a bridge or even a denture. We at Bloor Smile Dental, have started providing this service on a case by case basis. Call to see if you are eligible for the same. Even if your situation has advanced needs, we will refer you to a suitable specialist who will take care of all your needs. Dental bridges literally bridge the gap created by one or more missing teeth. It is made up of two or more crowns for the teeth on either side of the gap (these two or more anchoring teeth are called abutment teeth) and false in between teeth ( called Pontics) to replace the missing teeth. Dental bridges are supported by natural teeth or implants. 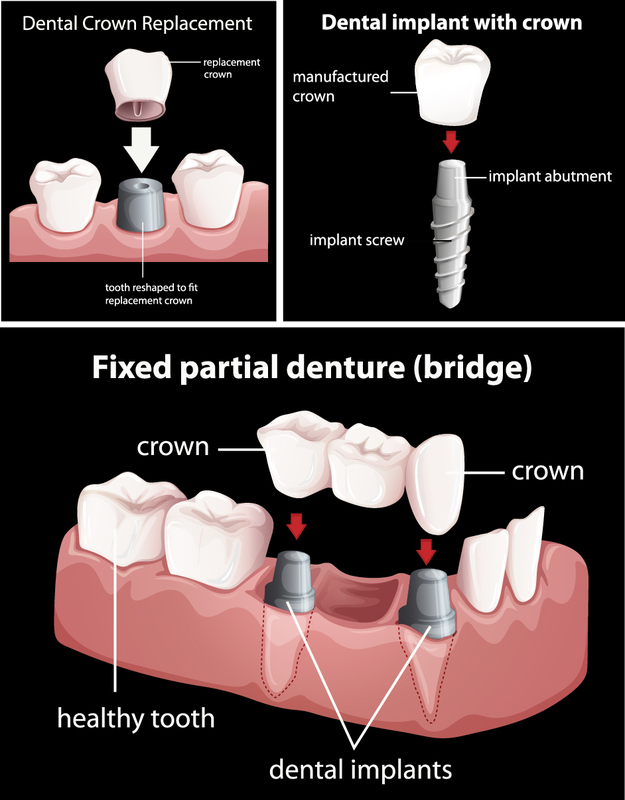 Like crowns, bridges can be metallic, porcelain or a combination. Inside the tooth, under the white enamel and the next hard layer called the dentin, is a soft tissue called the pulp. The pulp contains blood vessels, nerves, and connective tissue and helps build the tooth during development. 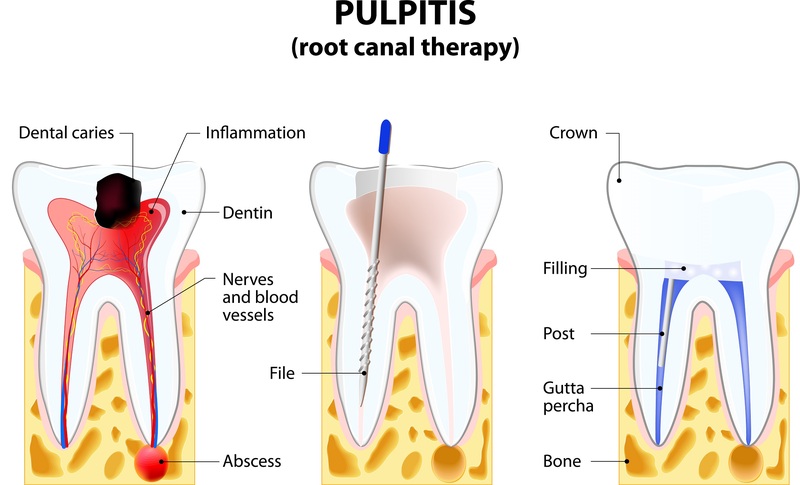 The pulp extends from the crown of the tooth to the tip of the roots through a hollow channel called the root canal, where it connects to the tissues surrounding the root. Root Canal treatment is necessary when the pulp, becomes inflamed or infected. Inflammation or infection maybe due to a deep cavity, repeated dental procedures on the tooth, or a crack or chip in the tooth. A blunt injury to a tooth may also cause pulp damage even if the tooth has no visible fracture. If pulp inflammation or is left untreated, it can cause throbbing pain or an abscess. As against popular belief, root canals are not painful. They might need a longer mouth opening than routine fillings and sometimes may need multiple sessions. When root canals are very skinny or curved and difficult to negotiate, referral to an endodontist may be necessary. A root canal treated tooth, depending on the amount of tooth structure lost, and also since it is more brittle might need a post and a crown placed on it to keep the tooth structure reinforced. “Give patients the white smile of their dreams”! Is the tag line that Zoom offers on their website. 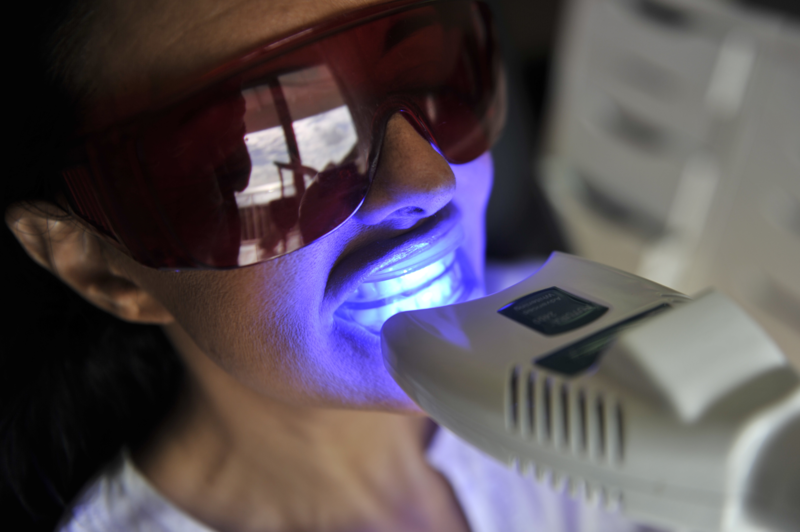 Zoom is a bleaching process used to lighten discoloration of enamel and dentin. Discolouration of teeth may result from drinking coffee, tea( especially certain green teas) and red wine; or from smoking. The aging process also can stain and darken your teeth ( from the enamel wearing off and the inner yellow dentin showing through). activate the 25 percent hydrogen peroxide whitening. As the hydrogen peroxide is broken down, oxygen enters the enamel and dentin to bleach the stained substances, leaving the structure of the tooth unchanged. It is necessary for a dentist to examine your teeth before a bleach to determine if you are a suitable candidate with healthy teeth and gums, your sensitivity status, whether you have any large restorations on your front teeth and your initial shade. At Bloor Smile Dental we offer both the in- office as well as the take home bleach options. Early diagnosis of oral conditions including tooth decay and the impact of conditions like oral habits and mouth breathing and aberrant tooth eruption patterns and occlusion are very important. We pride ourselves at using simple words and cues to make our little patients feel at home in the dental setting. They sit back and relax as we fix their teeth. We perform a whole range of dental treatment including but not limited to fillings, extractions, cleanings etc on children instead of referring them out. We find that our kid patients are our best patients- even better than the adults ! !